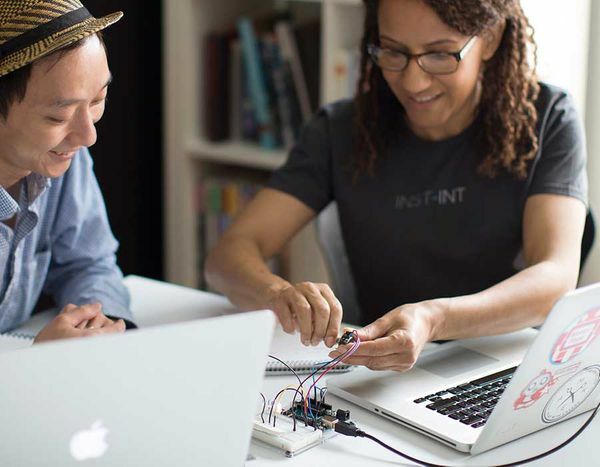 This interactive workshop introduces designers to prototyping for IoT with Arduino, an open-source electronics platform. Attendees will see examples, learn best practices, and build their own circuit. The intersection of physical and digital products is exploding with opportunities, and designers today are expected to think beyond the screen to build rich experiences. One way to achieve this is by creating prototypes with both physical and digital interactions. This workshop will introduce designers to prototyping for the Internet of Things (IoT) using Arduino, an open-source electronics platform. Kathryn will walk through examples of multi-modal prototyping from low to high fidelity, sharing her physical examples in person and digging into the research insights discovered through testing them. Attendees will then get their hands dirty by building their own circuit, with provided Arduinos, and learn just how easy it is to create interesting interactions with a few lines of code. For the workshop, participants will need to bring their laptop, and install the Arduino software before they arrive (https://www.arduino.cc/en/Main/Software).